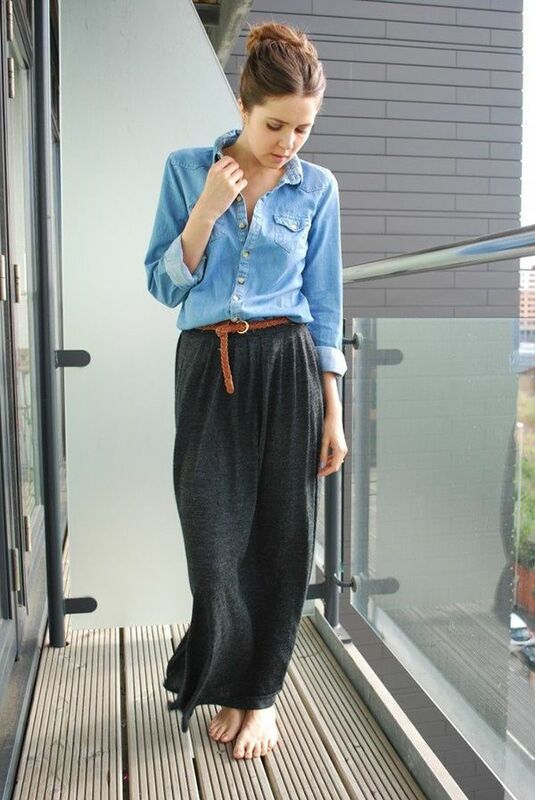 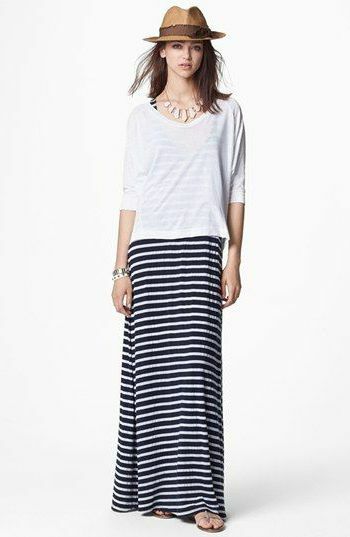 Long skirts are incredibly practical and comfortable, as well as perfect for almost any occasion. 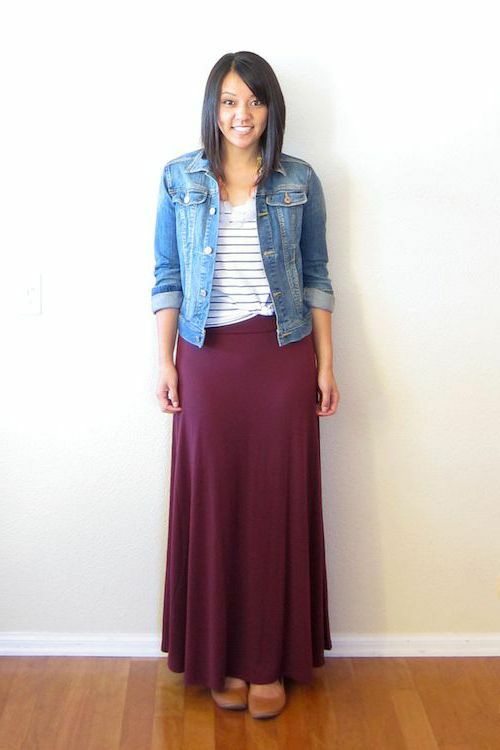 This bottom piece can be used both for day-to-day wear with basic tops and casual shoes and for night outs paired with more sophisticated and elegant items, like a sweet neutral colored blouse, dressy shoes, etc. 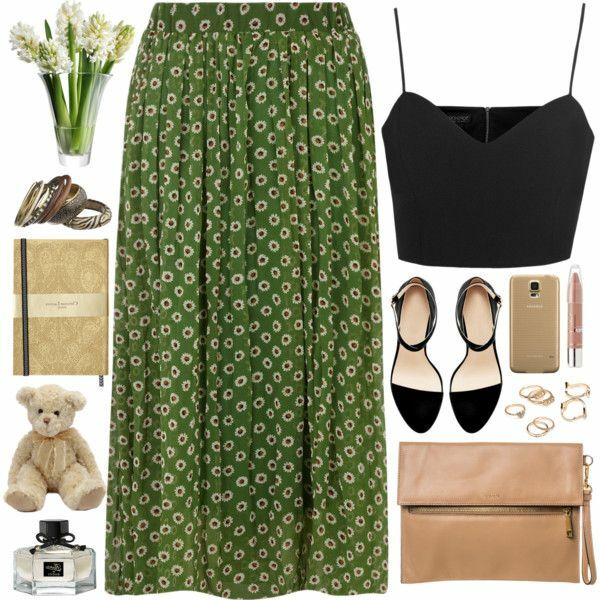 Sure, it can be pretty tough to wear long skirts when you don’t know how to make it look stylish, but I do know how o make stylish combinations read on to see how to make things look awesome! 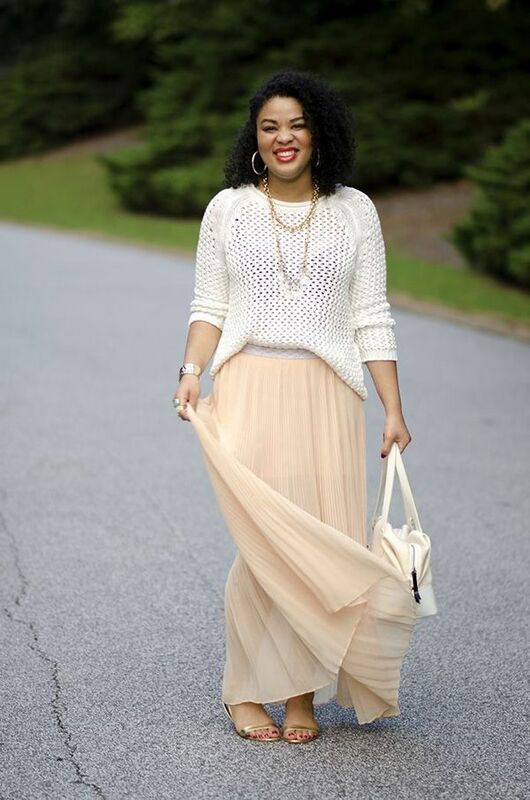 A beautiful maxi pleated skirt in cream-blush is worn with a classic white sweater and golden sandals. 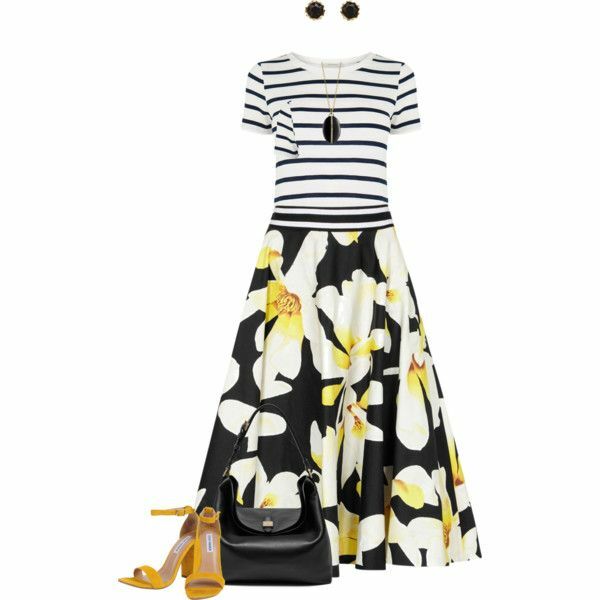 Complete this outfit with a chain golden necklace and white handbag.